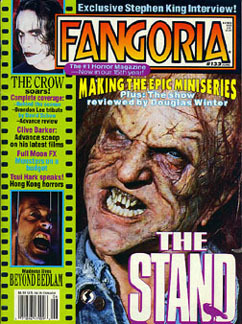 © 1994 Starlog Communications Intern., Inc.
Fangoria, June 1994. "The Crow Soars! Complete Coverage, Behind the scenes, Brandon Lee tribute, Advance Review".